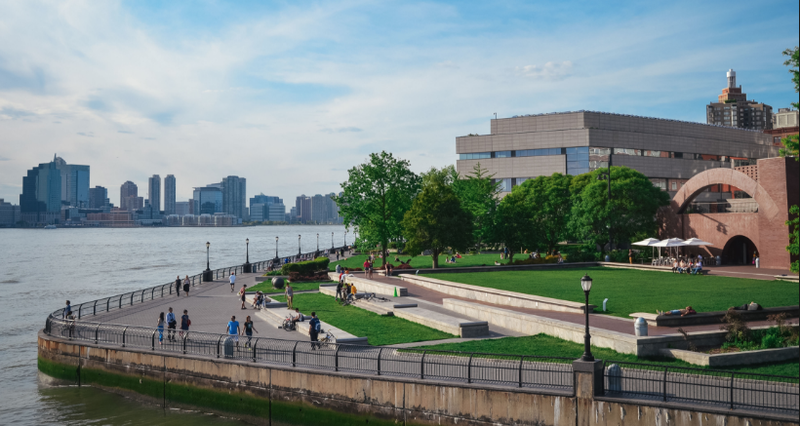 Battery Park City is a 92-acre planned community created with ladfill on the Hudson River. More than a third of the neighborhood consists of parks and open spaces. Although the developed neighborhood is a mere 55 years old, it is populated with residential buildings that are removed from the hustle and bustle of the rest of the city. At night, the streets are some of the quietest and safest the city has to offer. New York, NY 10280. Take part in activities such as basketball, yoga, Tai Chi, soccer and many more! 2) Take a sail on the Staten Island Ferry, just 0.25 miles from Battery Park. A free ferry that can take you to Staten Island and back to Manhattan in less than an hour! 3) For those with a love for history, visit the National Museum of the American Indian (0.19 miles from the park). The rich art galleries are full of artifacts and artwork from the Smithsonian Era. It’s Free! 4) Another cool place to check out is the New York City Police Museum (0.48 miles from the Park). Here you can learn so much about our police force including some highlights they have had over time! 5) A more luxurious option would be The Setai Club & Spa Wall Street. Just 0.34 miles from the park, you can choose to enjoy a tequila-tasting event or just decompressing in a sauna both in the same building!